"It is not the critic who counts; not the man who points out how the strong man stumbles, or where the doer of deeds could have done them better. The credit belongs to the man who is actually in the arena, whose face is marred by dust and sweat and blood; who strives valiantly...who at the best knows in the end the triumph of high achievement, and who at the worst, if he fails, at least fails while daring greatly." I cannot WAIT to read this book! I'm inspired already! I'll share snippets as I go, but just wanted to encourage you: whatever arena you're in (or even if you haven't stepped into the arena yet), let's all dare greatly together. At the end of the day, it's not about winning or losing, but about following your heart. And about being bold. The journey is what shapes us anyway, not the end result. As for me, I can't get enough of these little treats. They're the perfect thing to whip up when I need a quick pumpkin fix: 10 minutes of prep, 10 minutes of baking, and voila, pumpkin bliss. 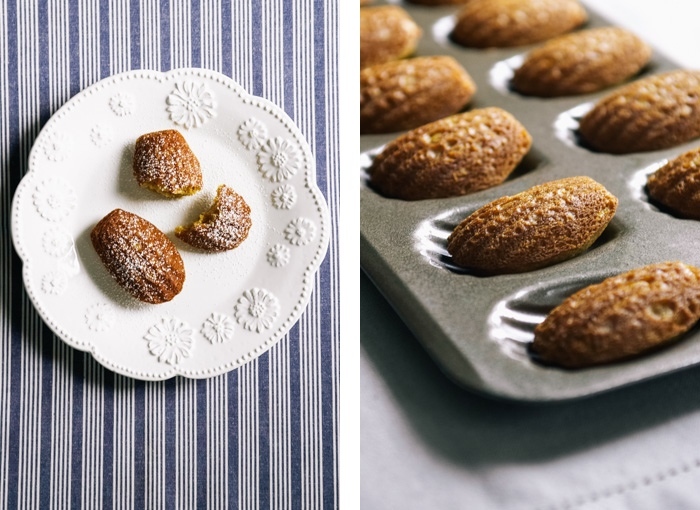 All you need is an inexpensive madeleine pan, which is something that I think should be in every cook's kitchen anyway. :) My good friend Julia (who lived in France with me for over a year) bought me my first madeleine pan years ago, and I use it all the time. 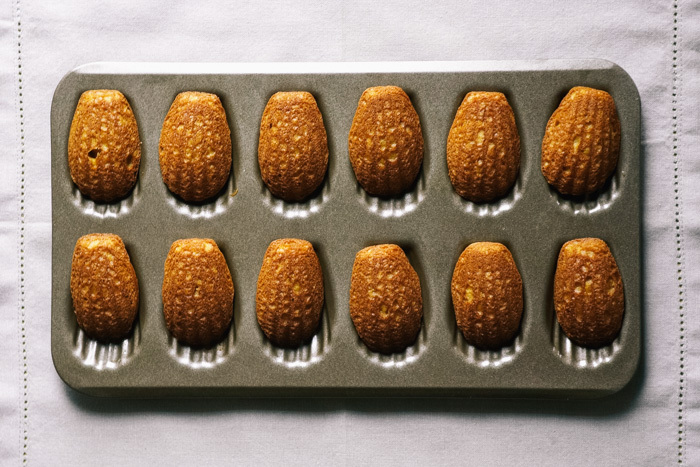 I'll always associate her with madeleines: the day before her wedding, her brother and I made hundreds of madeleines in her parents' kitchen for the wedding reception. They were served with a fountain of chocolate...ahh, the memories! So I promised you that I'd tell you a few ways to get involved with The Cookbook Diaries. First of all, follow along! I'll be posting updates daily on Facebook, Twitter, and Instagram. Second, I'd LOVE your thoughts on what sort of recipes you'd love to see in the cookbook. Write me a note - either in the comments section below or at [email protected] - and let me know some of your favorite recipes from The Yellow Table that you want to see in the book. Third, I need help recipe-testing! As I post recipes from the book (like today! ), I'd love it if you make them and send me feedback. I'll be tweaking as I go. See you tomorrow! I'll be sharing my favorite Detox salad recipe and some fun ideas for the weekend. In the meantime, dare greatly!